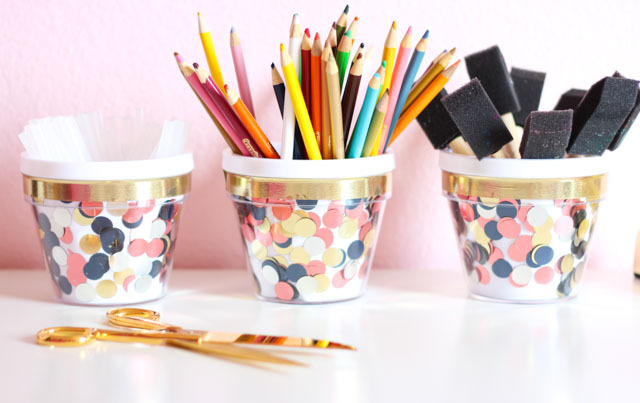 Can you ever have too many storage containers to corral small office and crafting supplies? I think not! In addition to being functional, they might as well be super cute too, especially if you plan to keep them out on display. 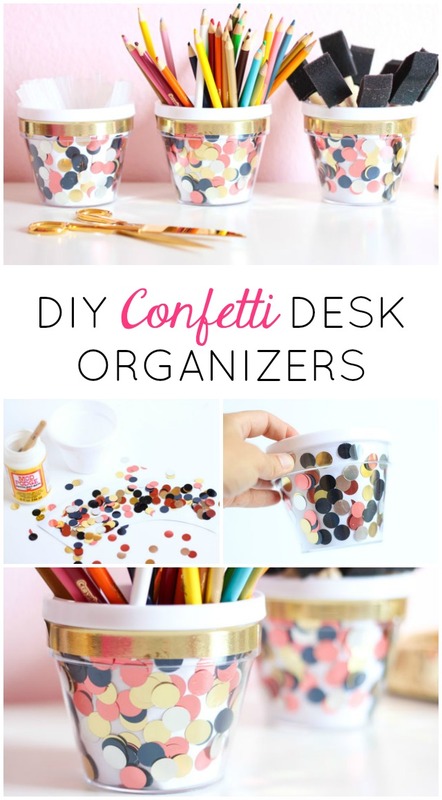 I created these confetti desk organizers for Oriental Trading with that in mind. 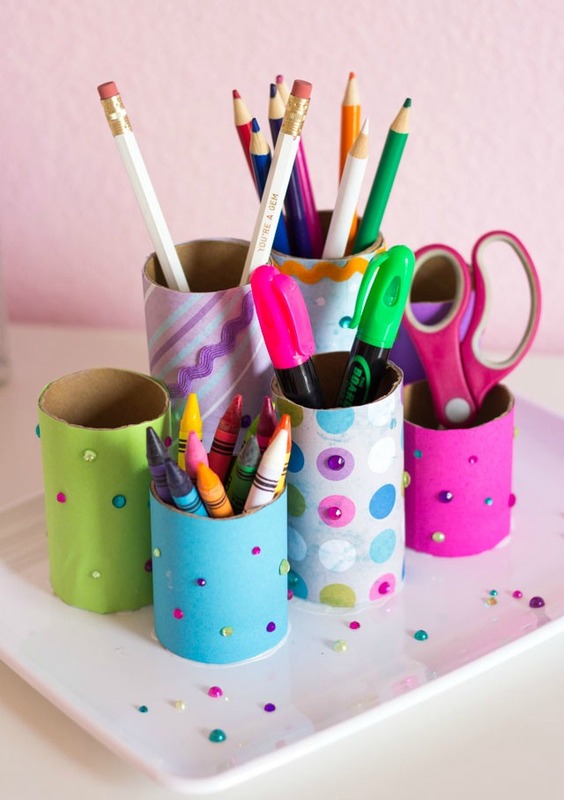 I wanted something that would help me keep my most-used craft supplies at arm’s length while dressing up my desk. 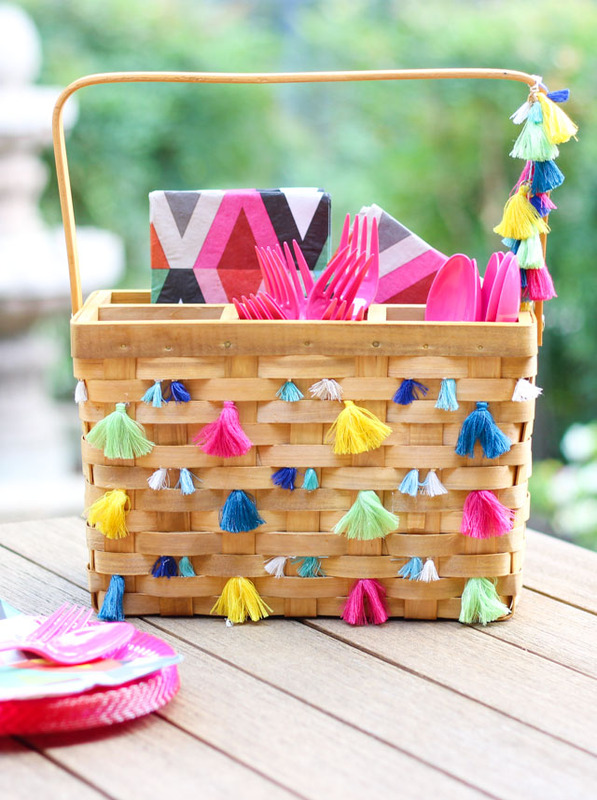 Read on to see more of this simple project! 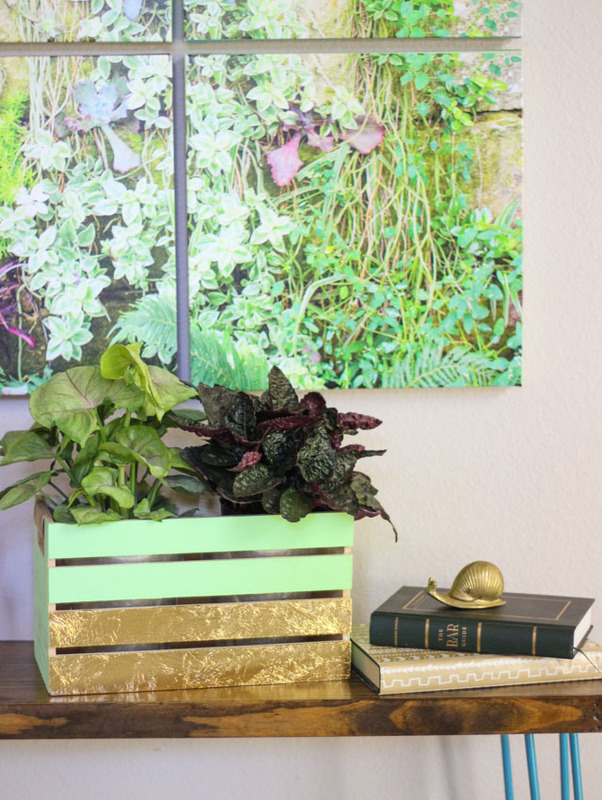 This project uses DIY flower pots, of all things! 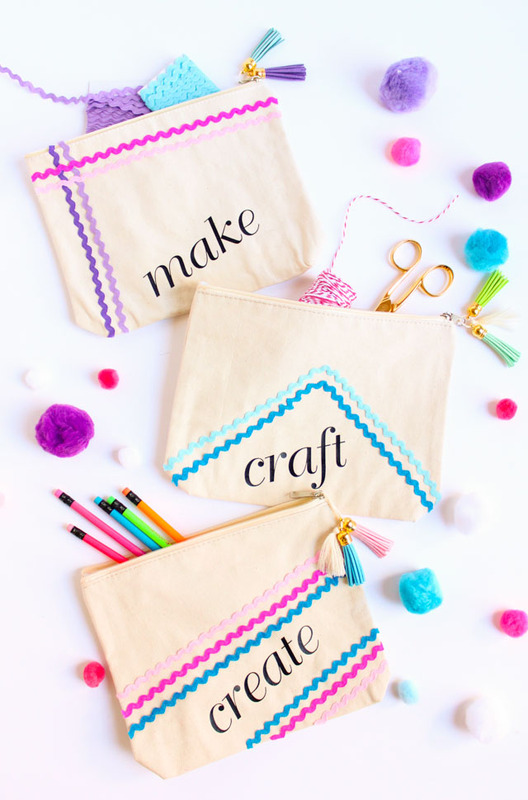 Their size makes for perfect storage containers, and I particularly love that these come with a removable paper insert that you can decorate however you like. So many crafting possibilities! I chose jumbo metallic confetti to cover mine. 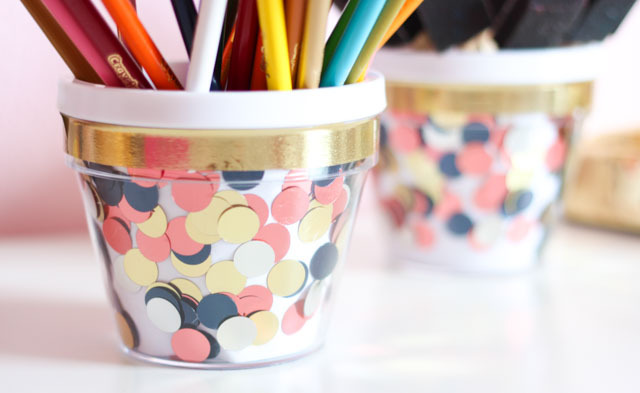 Finish your containers with a strip of metallic gold washi tape and you’re good to go. I filled mine with glue sticks, colored pencils, and my favorite foam brushes. Want to make your own? 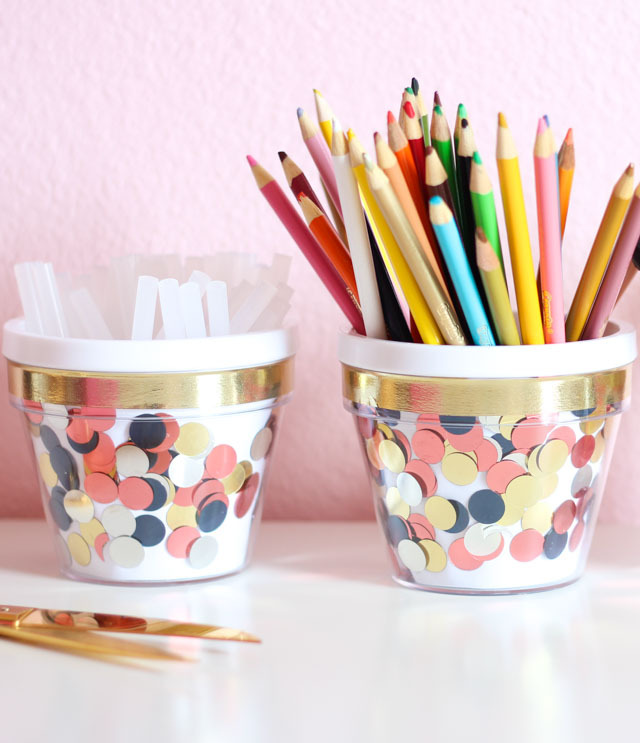 Then head to Oriental Trading’s Fun 365 Site for the step-by-step confetti desk containers tutorial and full list of supplies!